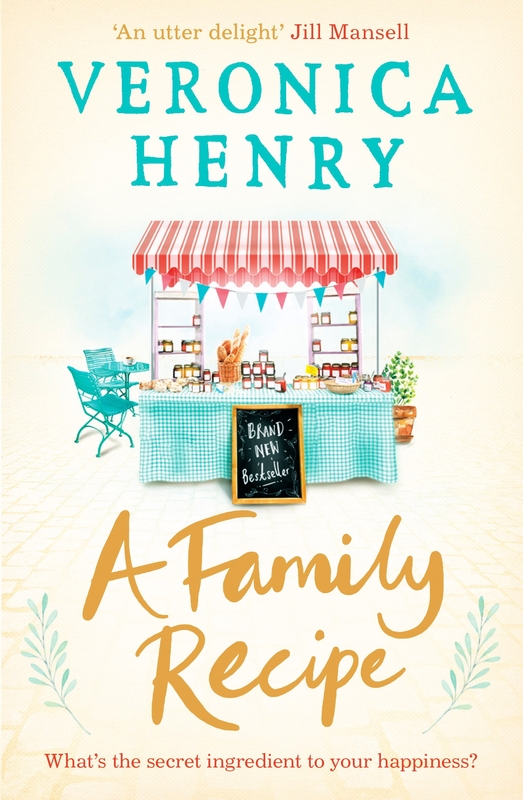 ‘The Family Recipe’ is by Veronica Henry. Laura Griffin is preparing for an empty nest. The thought of Number 11 Lark Hill falling silent – a home usually bustling with noise, people and the fragrant smells of something cooking on the Aga – seems impossible. Laura hopes it will mean more time for herself, and more time with her husband, Dom. But when an exposed secret shakes their marriage, Laura suddenly feels as though her family is shrinking around her. Feeling lost, she turns to her greatest comfort: her grandmother’s recipe box, a treasured collection dating back to the Second World War. Everyone has always adored Laura’s jams and chutneys, piled their sandwiches high with her pickles. Inspired by a bit of the old Blitz spirit, Laura has an idea that gives her a fresh sense of purpose. Full of fierce determination, Laura starts carving her own path. But even the bravest woman needs the people who love her. And now, they need her in return. The latest book from Veronica Henry is a delicious heartwarming story about love and family. The story is set in the past during the Second World War, when Jilly Wilson tragically loses her parents during an aid raid on the night that she meets handsome stranger called Harry Swann, who leaves her to fight for their country. Fast forward to nearly 70 years later to the present day and her great grand-daughter is leaving for university, whilst her mother Laura is wondering what to do with her spare time. Suddenly with an empty house, she decides to embark on a new venture and use her own culinary skills and rustic home to create a new income for herself. She was looking forward to spending time with her husband Dom, now that both their daughters are gone but fate has dealt her an unexpected hand. The two different eras and characters are a lovely touch to the story, as both women separated in age, both deal with sudden circumstances that are set to challenge them. Jilly AKA Kanga is a lovely woman, she’s strong and caring and even at the loss of her parents, sees her put others before her and give them sanctuary when their houses are bombed. Meanwhile, Laura is a kind hearted woman who’s goal is to look after her children and protect them from hurt, she throws herself into her work and to distract herself. I genuinely loved this story, the characters are heartwarming and relatable and the different eras give an interesting quirk to the story. With a charming cover and a lovely blend of family dramas, complicated relationships and new beginnings, ‘The Family Recipe’ is an absolute treat. You can buy A Family Recipe from Amazon and is available to buy from good bookshops. 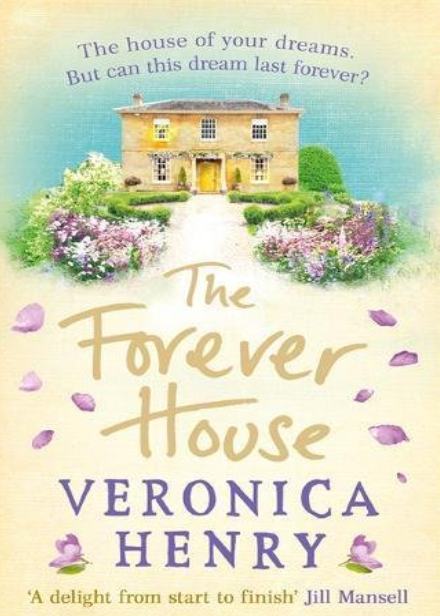 ‘The Forever House’ is the latest book by Veronica Henry. I started this book the other night and fell in love with the bittersweet tale. When Sally’s husband, Alexander is diagnosed with Motor Neurone disease, they decide to sell up the family home, for something a lot more easier to manage. The home called ‘Hunter’s Moon’ has been in Alexander’s family for generations and holds many memories for the family and both Sally and Alex, as it was the place that they fell in love in, when Sally was hired as the family housekeeper many years. Deciding to move out of my their happy home, they invest their trust into Belinda Baxter, the local estate agent who invests her time and dedication to helping people find their forever home, the kind and gentle woman who feels an empathy towards the elderly couple. The story is told in the past and present tense, when Sally and Alexander first met back in 1967 and Sally was employed as housekeeper for Hunter’s Moon, when Alexander’s mother, Margot was a bestselling author and invested all her time in writing and let the house go to wrack and ruin, but then Alexander met Sally and thought she would be perfect, homely and organised, she settled into Hunter’s Moon and quickly became part of the family. The present tense, is the elderly couple having to deal with the double blow of leaving their home as well as deal with Alexander’s as they both notice his health deteriorating. Meanwhile, Belinda has her own problems as she tries to find the perfect buyer for Hunter’s Moon, her past reappears bringing with them unhappy memories and old ghosts. This is truly, a lovely story. It’s a warm hearted and whimsical tale that is filled with charm as well as sadness, as Sally and Alexander prepare to leave their family home and deal with his illness. The scenes about Motor Neurone disease were sensitively written and researched well and I felt a strong empathy for Alexander as he challenged the changes in his body. The relationship between Sally and Alexander is a tender and interesting one, reading through the past chapters, it’s lovely how they went from friends to lovers and how seamlessly their relationship developed. Margot, Alexander’s mother was a vibrant character, self absorbed and dramatic, she loved being the centre of attention and struggled when this wasn’t the case. I particularly loved Belinda, her warm and soft nature and genuine care for clients made for sweet reading and I really empathised with her at times. Beautifully written, ‘The Forever House’ is a poignant tale of love and loss, with tender characters and storyline, this book was an absolute feel good page turner. Author of ‘The Forever House’, Veronica Henry shares her writing tips for aspiring authors. All budding writers should remember that anyone can start a book, but not everyone can finish one. So keep going until you reach the end. Writing is an endurance test. It’s not enough to have a brilliant idea. It’s got to keep going for at least 300-odd pages. Veronica Henry has worked as a scriptwriter for ‘The Archers’, ‘Heartbeat’ and ‘Holby City’ amongst many others, before turning to fiction. She won the 2014 RNA Novel of the Year award for ‘A Night On The Orient Express’. Veronica lives with her family in a village in north Devon. To readers of the blog who may not be familiar with you or your writing, can you tell us a bit about yourself and how you got into this? I started out typing scripts on ‘The Archers’ and it was there I realised that people need an escape from everyday life, whether from books or radio or TV. I learned a lot about storytelling from reading the scripts and hearing them recorded in the studio. I went on to become a script editor for ITV, then when I had my first child I jumped over the fence and wrote scripts for ten years. I wrote for ‘Doctors’ and ‘Heartbeat’ and ‘Holby City’. Then in 2000 I realised my real love was for books and by a miracle I got a book deal! I’m now on my 17th novel. It’s a bit of a love/hate relationship. When it’s going well it’s as if someone is dictating the story to you and it just flows through your fingers. When it goes badly you can’t imagine being able to write another word. I like naming my characters, and decorating their houses – that can hardly be called work! I also like the big emotional turning points: the confrontation or the revelation or the secret encounter And parties – I love writing a party. There are always so many things going on underneath the surface glitter. Oscar Wilde, Jilly Cooper, Elizabeth Jane Howard, Hemingway, Scott and Zelda Fitzgerald. There would probably be wine too! Character character character. As long as you care about the characters, you will be engaged – even if you don’t actually like them. I’m not a massive fan of ‘Pride and Prejudice’ – I know that’s controversial, but I find it a bit irritating. Though I suppose that hasn’t been hyped as such! I absolutely love ‘The Railway Children’. It’s a wonderful book but the film version wrings every drop of emotion from the pages. Who is your all time favourite character from a book? I’m a little bit smitten by Boris from ‘The Goldfinch’ by Donna Tartt – he is so naughty and dangerous and reckless and ingenious. He would never bore you. And I am fatally attracted to unsuitable men. I would learn to worry less and care more. If you enjoy your writing, it shines through in your work. ‘Oliver Twist’, ‘Kitchen Confidential’ by Anthony Bourdain and ‘Madame Bovary’ in French to give me a challenge to occupy my mind. My miniature Schnauzer, Zelda – who is named after Zelda Fitzgerald. And finally Veronica do you have any projects or releases on the horizon which you would like to share with the readers of the website? I’m writing my seventeenth novel – I can’t believe it. It’s still quite early stages – but I met someone last night and our conversation sparked something that gave me the missing ingredient. That’s why I love writing – a random encounter can develop into something really exciting. Oh – and my sixteenth novel ‘The Forever House’ is out now! You can buy The Forever House from Amazon and is available to buy from good bookshops.